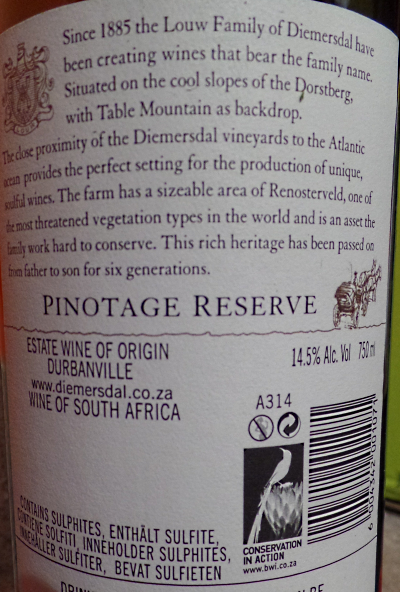 My Wine of the Month for May is Diemersdal Pinotage Reserve 2014. 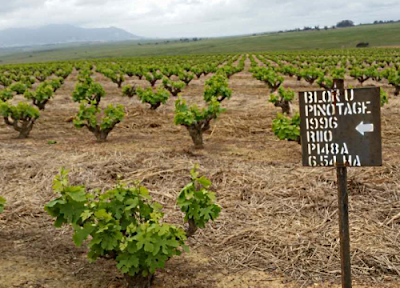 Diemersdal Estate in Durbanville, north of Cape Town, has been making wine for more than 300 years. Current owners, the Louw family, have been farming there for six generations since 1855. 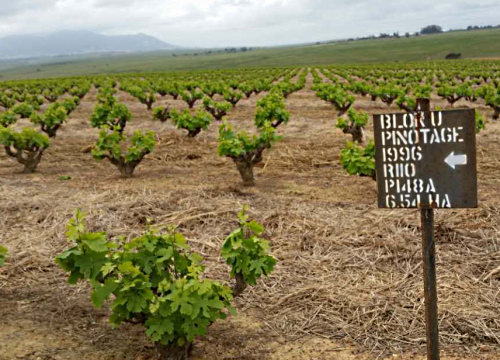 Durbanville’s hills and proximity to cold sea breezes make it a prime site for steely Sauvignon Blanc and cool-climate Pinotage. 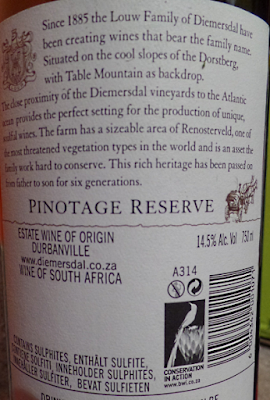 Diemersdal Estate makes expressive, impressive Pinotage. This 2014 Reserve (they also make a non-reserve) was a Pinotage Top 10 winner in 2015, and is drinking beautifully now and would probably benefit from longer aging. On the nose are lovely black forest fruits. It is very dark.In the mouth there's a tautness at first soon followed by an explosion of cherry, cassis and vanilla flavours that coat the palate. There’s a long sweet silky finish. Delicious. To London for the annual London Wine Fair. It’s much shrunk and they’ve dropped ‘International’ from the name. The vast national pavilions are no more and producers mostly share stands with their UK agents. I was pleased to see Marius Burger on the Windmeul Winery booth, but sad that the stand was in the area for producers looking for UK agents. 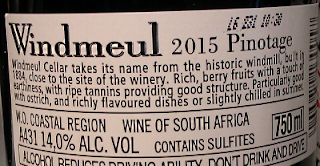 Windmeul make some cracking Pinotages; their Reserve has been a winner in many Top 10 Competitions and also been garlanded with Five Platter Stars. 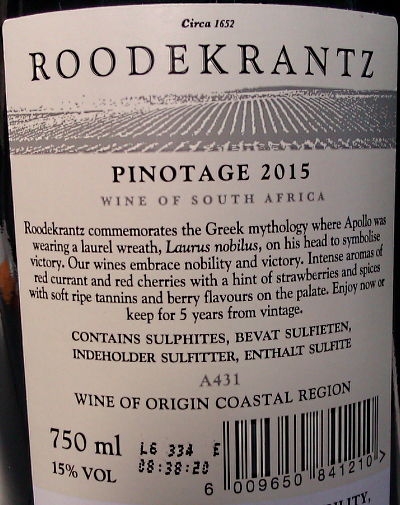 Roodekrantz is a label for a wine designed to appeal to the commercial Asian market by being ‘palate friendly and accessible, with less oak and more residual sugar’. The name refers to the label’s red laurel victor's wreath. 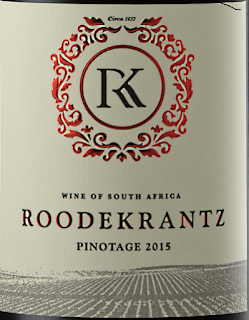 Roodekrantz Pinotage 2015, sealed with a screwcap, is a pale light bodied red, soft fruity and easy to drink on its own. 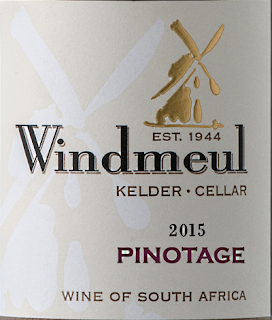 The standard Windmeul Pinotage 2015 has spent more time – 9 months – in 2nd and 3rd fill barrels. This comes from a bush-vine vineyard planted in 1996 (pictured below). It has a deeper colour, is more complex and enjoyable, with food friendly tannins giving a dry finish. 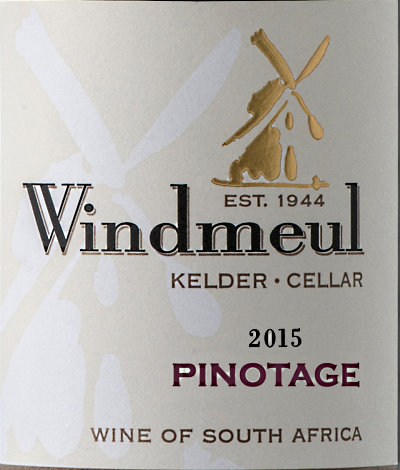 Windmeul Pinotage Reserve 2014 was a Pinotage Top 10 Winner in 2015 and 5 Star Platter winner in 2016. This wine was aged in new French oak barrels and came from the same vineyard block as the standard bottling, but vines destined for the Reserve undergo crop thinning and selection. 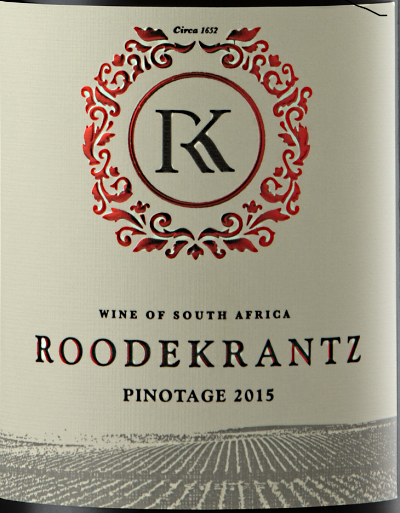 This darker, interesting wine gave an initial rush of sweet Pinotage fruit, dark plum and fynbosch herby flavours on top of rewarding complexity. It is a truly beautiful wine that Platter rightly states is ‘benchmark Pinotage’. Marius said the following year they made the 2015 Reserve in a different style, intended for aging and thus was not readily accessible when young, but it is now starting to ‘come round’. Windmeul, Marius told me, should be pronounced Vint-meel. 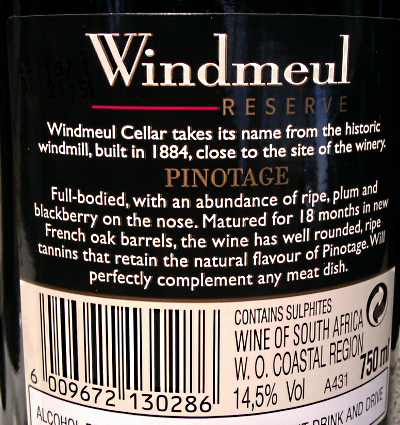 I do hope Windemeul soon find a UK distributer as it’s far too long since I’ve enjoyed a bottle with dinner; my recent attempts to buy the Reserve on my visits to the Cape have failed as it has been completely sold out. 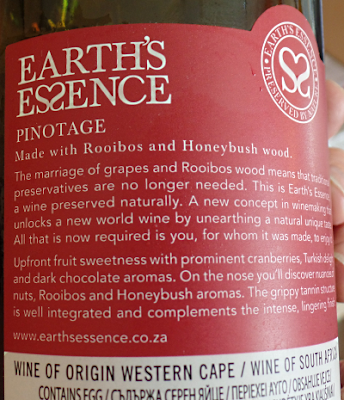 I’ve been wanting for some time to try Earth’s Essence, a Pinotage wine that uses two South African indigenous woods -- Rooibos (Fabaceae family species, Asplathus) and Honeybush (Cyclopia) -- to provide necessary anti-bacteriological and preservative qualities and thus avoids adding sulphur. 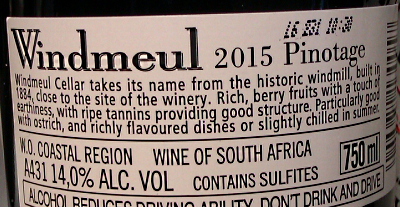 Although sulphur has been used in winemaking since antiquity, the fairly recent addition of allergy warnings to wine labels some consumers now blame sulphites for any negative reactions experienced after drinking wine. For all its supposed health benefits I unfortunately did not like the wine. 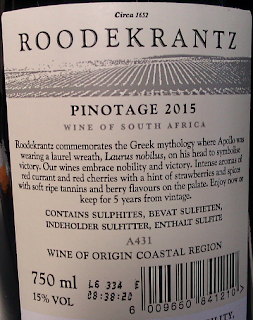 On the positive side it was creamy with a touch of pencil shavings, but I found it lifeless, without enough fruit flavours, and I wouldn’t have guessed it was Pinotage if tasted blind. It had a streak of acidity, and a strange aftertaste I found unpleasant. Did those odd tastes come from Rooibois and Honeybush wood? I don’t know what Honeybush nor Rooibois wood tastes like and although I once had rooibois tea it was a long time ago and once was enough. 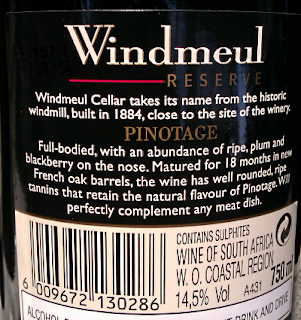 This was the first bottle of Pinotage, for as long as we can recall, that we didn’t finish. It's that time again. 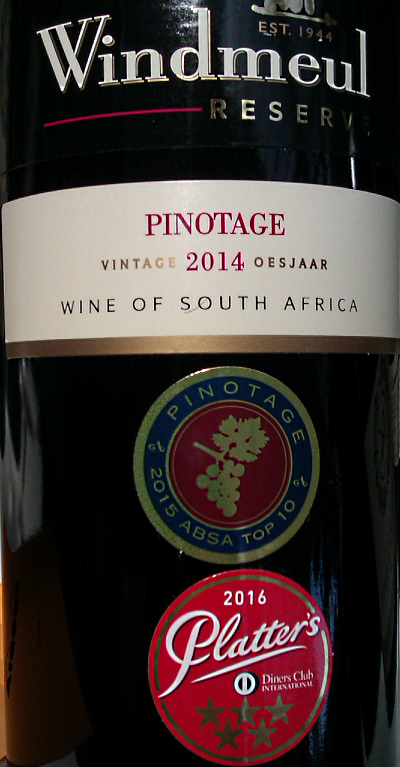 The 2017 annual ABSA Pinotage Top 10 Competition is open for entries. Note that this is an international competition: non-South African producers can -- and I say -- should enter.